More time has past and another book is under my belt in the 2015 Reading Challenge. I know it’s been a while, but don’t worry; I haven’t forgotten my resolution for this year. 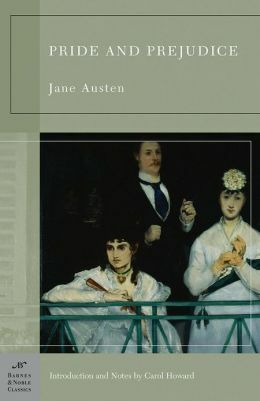 While the last book’s A Classic Romance took us into the beloved story of “Pride and Prejudice,” this novel turns to the opposite end of the spectrum. The only slight similarity is a common theme of love . . . and that’s about it. 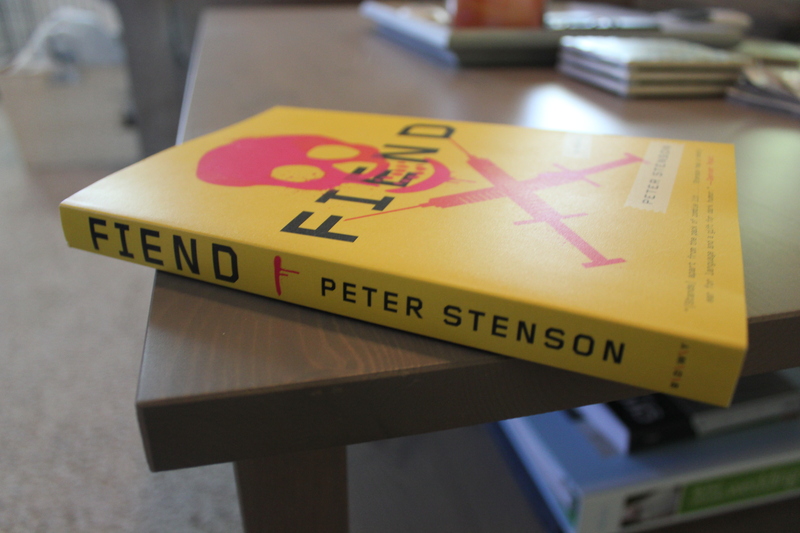 With Peter Stenson’s “Fiend,” it’s all about zombies and drugs. It’s like combining “Walking Dead” with “Breaking Bad” into a drug-fueled, brains-eating, edge of your seat, nail biting story of drug addicts in the apocalypse. Yeah, it’s kind of intense. But the novel also comes with some comedy (I mean they are high most of the time), a romantic connection you find yourself rooting for and the underlying power of just how difficult overcoming addictions can be. Knowing that Stenson comes from a background of past addiction, his description of what goes through the mind of an addict is not only believable but riveting. As someone who only recently got into zombie novel myself, this book may not be for everyone. But if you have a soft spot for bloody guts and end of the world plots, you should definitely give it a try. As mentioned earlier, Stenson (above) came from what he calls a “trashcan” addict background, trying anything he could find to get high. Now sober, Stenson has turned those real-life stories into a fictional scenario with an apocalyptical world. So it’s no surprise the novel starts off with main characters Chase and Typewriter coming off a hit while hanging out at home. It’s almost humorous how the story begins — as Chase wavers between the line of reality and hallucination, he looks out the window and notices a little girl just as she bites into the neck of an unsuspecting dog, blood and flesh dripping from her mouth. Sure that he’s gone to far this time with the “scante,” Chase figures it’s just another mind trick having to do with the metaphor of innocence or primal nature. It’s not until the girl shows up just inches from the window and smashes her body inside, that Typewriter and Chase really begin to suspect something’s wrong. Even when the two junkies defeat the zombiefied child, they believe they may have just killed a little girl while under the influence. As the novel goes on, though, Chase and Typewriter soon find that they’re one of the few people left on this Earth to survive the end of the world. If that doesn’t make you a least a little intrigued in reading this book, then I must not be doing it justice. 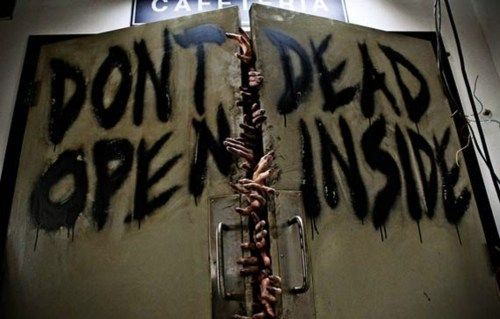 As the book continues, we’re introduced to even more junkie characters surviving in the zombie apocalypse (there’s a reason they’re all addicts that I’ll try not to give away). Seeking shelter from the giggling hordes of zombie “Chucks,” Typewriter and Chase go to a meth distributor named Albino, a paranoid manufacturer of their methamphetamine fix. There’s also Chase’s ex-girlfriend KK and her newly-found boyfriend Jared. 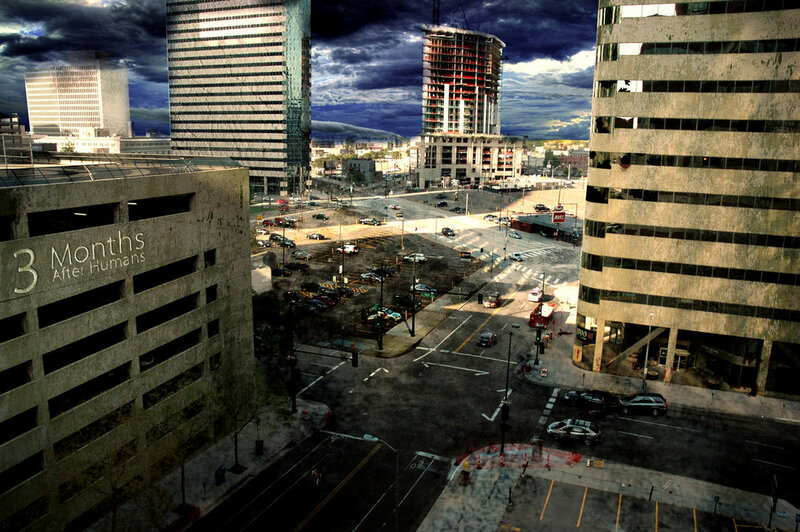 As the novel continues, the group follows the same scenario almost any zombie book contains: the need to survive. The added twist with this read is the powerful addiction these characters need to keep up with in order to stay sane and not lapse into withdrawal. It’s as important to them as water, food and shelter — much like how addictions work in the real world. But addiction isn’t the only major theme of this book. Another, more universal theme is depicted in the love between Chase and KK. As two characters who tried and failed to overcome their addictions together, Chase still very much has feelings for her despite her romantic connection to a new beau. 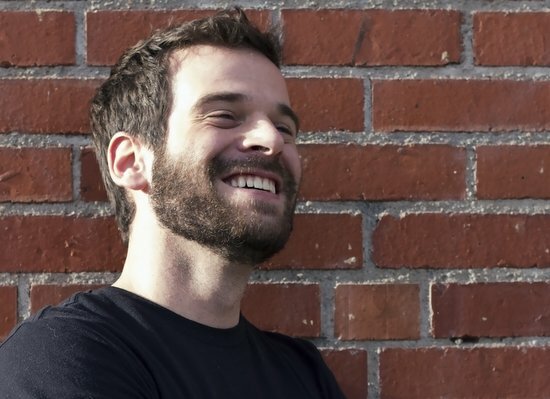 If you’re like me, you find yourself rooting for Chase to win back KK through whatever heroic feat he can find (and trust me there’s more than a few). And along with humor there’s also sadness, death and doing whatever it takes to continue surviving. 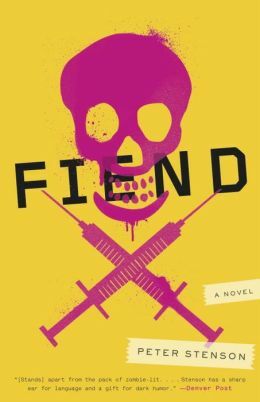 Zombie world aside, “Fiend” does send an underlying message of just how powerful addictions can be. Much of the way the zombies act coincides with the behavior of the addicts. None of this is more evident than the title of the book itself. The definition of “fiend” means “an evil spirit or demon,” but also “a person who is excessively fond of or addicted to something.” As our characters continue moving forward in the story, the line between being alive and being the living dead become blurred to the point of inseparable. This dilemma really comes into play when our main character continuously struggles to do the right thing. While being under the influence causes him to be a hero, so too does it cause him to be his worst enemy. And as the novel comes to a close, you’ll be left wondering why he chose the path he did. Despite it’s far-reaching plotline, “Fiend” is definitely worth a read if you’re at all interested in zombie novels. While there’s no Rick Grimes or Walter White, our protagonist’s struggle between right and wrong is a story you’ll want to continue reading. From humor to horror and romance to ruin, this book is definitely a page turner that leaves you wondering this: How would you survive a zombie apocalypse?